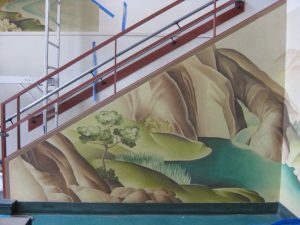 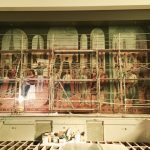 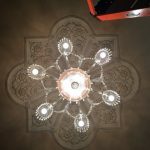 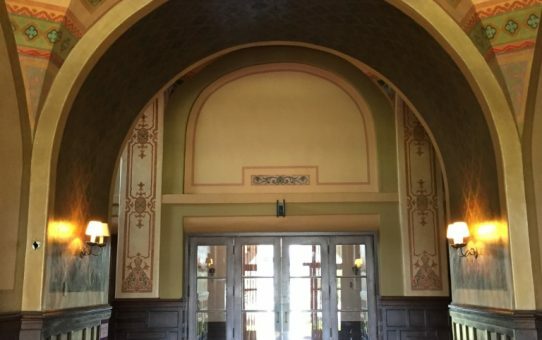 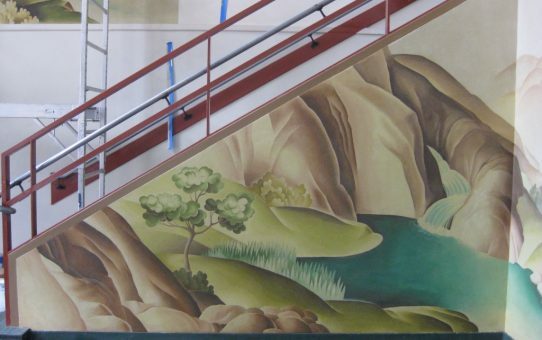 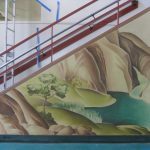 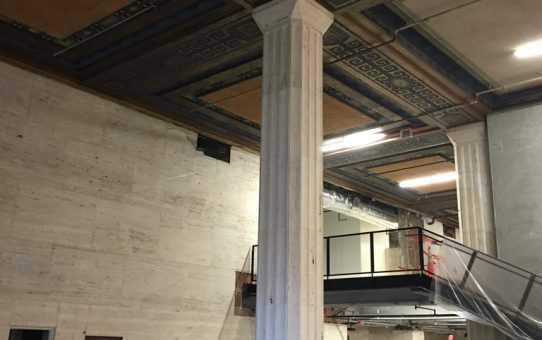 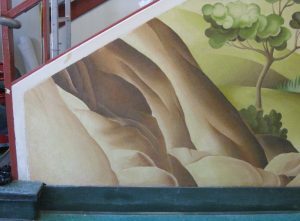 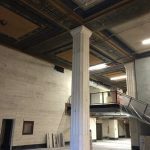 Under the direction of Carolyn Lehne of KC Restoration, we removed any lead based paint (in containment) still attached to the mural, cleaned the surface, and filled any knicks or scars. 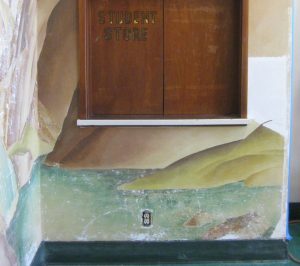 There was several areas where the canvas and imagery was missing, we replaced the lost canvas and sketched in the missing landscape. 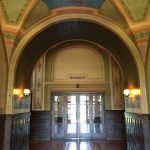 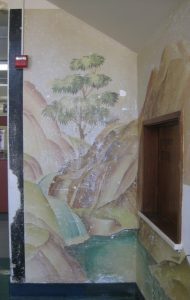 The mural was a WPA project from 1933-1934. 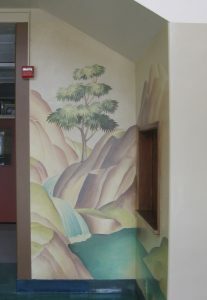 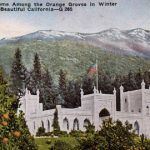 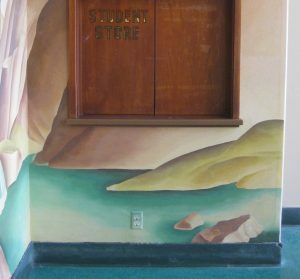 Suzanne Miller was a local Long Beach muralist who also has a mural in the main library’s children section. 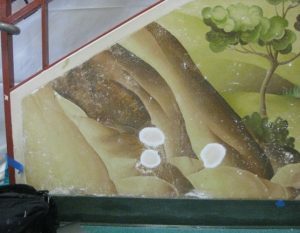 The mural was lost and painted over for many years. 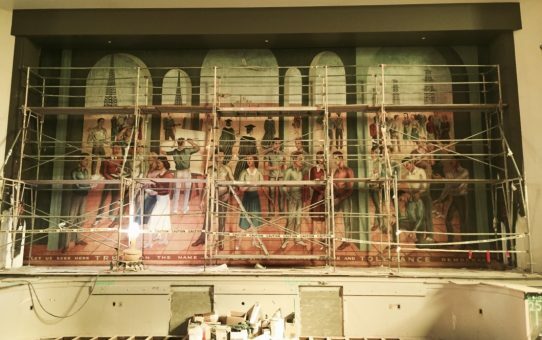 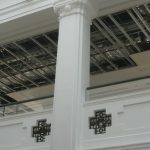 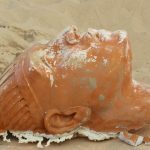 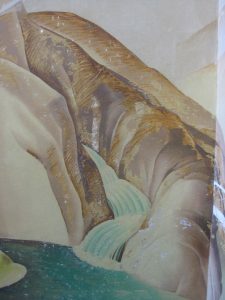 About fifteen years ago, teachers noticed the mural underneath flaking paint and remove a lot of the paint to expose the image.